The study presented here is a business analysis of the issue of whether or not Edmonton City Council should proceed with the sale of EPCOR. It focusses on key financial questions, and on an assessment of some crucial variables in EPCOR’s business environment. It is intended for the use of Edmonton City Council; business and interest groups; and the citizenry of Edmonton. This study comes to several clear and definitive answers which overwhelmingly argue against the sale of EPCOR. An investment fund created from the proceeds of the sale of EPCOR will not sustain a payment to the City equal to the dividends that EPCOR will earn. If the proposed investment fund attempts to equal EPCOR’s dividends, that fund will go broke. This is the case whether all of EPCOR is sold, or only a portion of it. The resale value of EPCOR (without Aqualta) can be expected to rise from $1.3 billion now, to $2.2 billion in ten years, to $3.6 billion when the PPA system expires in the year 2020. None of these gains will be enjoyed by the City if EPCOR is sold. The dividend gain from the sale of EPCOR is entirely short-term. In the medium and long term, EPCOR will pay the City dividends much higher than an investment fund. An investment fund earning a long-term return of 7.4% above inflation, while cashing out an annual payment equal to EPCOR’s dividend, will need to accept significant risk. This is likely higher than the risk presented by continuing to own EPCOR. EPCOR’s dividend pay-out rate to the City is low by industry standards, and City Council can reasonably consider raising it. EPCOR, like the entire utility industry, is subject to various regulations concerning the natural environment. EPCOR is working to comply with these regulations; these regulations are not a significant threat to EPCOR’s viability. New technologies are continuously arising in EPCOR’s businesses, and the company has a long history of adapting effectively to them. Advances such as fuel cells, microturbines, solar power, and wind power, pose no significant threat to EPCOR’s assets or operations for decades to come. EPCOR is operating in a seller’s market for electricity. Demand for electricity is growing steadily, and Alberta’s tight supply balance is expected to remain for several years. 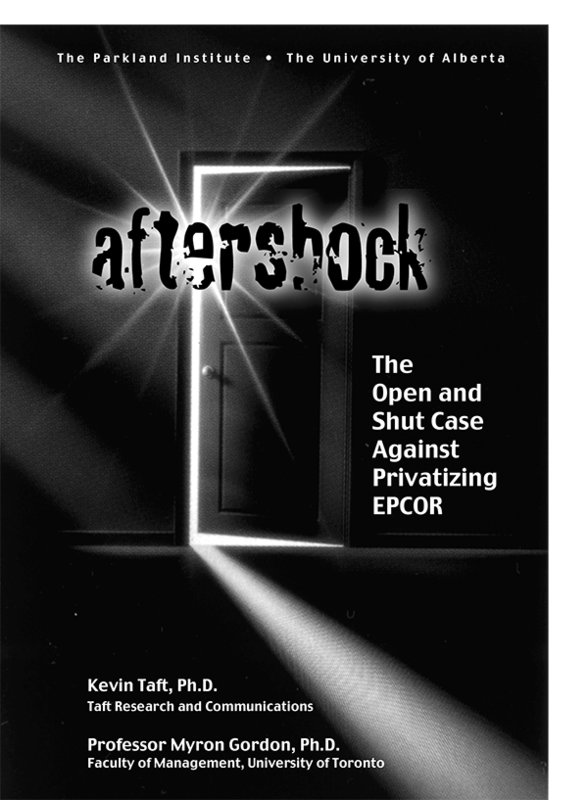 Experience in other jurisdictions, and analyses of Alberta’s situation by groups such as the Industrial Power Consumers Association of Alberta, suggest that the profitability and share value of EPCOR will likely rise under the regulatory changes being implemented by the Alberta government. Photo credit: Mack Male under a Creative Commons licence.